6 *Popular* Designers That Are Not As Expensive As Sabyasachi But Just As Gorgeous! 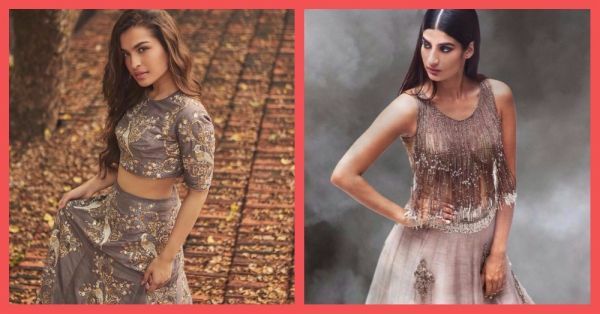 We all dream of wearing a glittering Manish Malhotra lehenga or a vintage Sabyasachi saree on our D-day, but the price tag often breaks our heart! An alternative is to find similar material and a trusty tailor to recreate the designer magic. But you really don’t need to compromise on something this important. If your heart is set on wearing something that’s unique but not as expensive as a house, then look at popular bridal designers who make exquisite stuff at relatively affordable prices and have a niche Bollywood clientele. Start your research with these names that we have found for you. 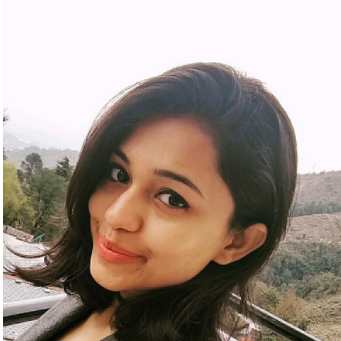 Payal Khandwala is known for her offbeat designs. Her designs exude free-spiritedness, yet have a classic appeal to them. This parrot green wide palazzo pants (that give the look of a skirt) with gold brocade motifs would make for such an awesome sangeet outfit. And the best part… It costs just Rs 19,500. Grab it now! Payal Singhal has dressed the biggest names in Bollywood such as Deepika Padukone, Alia Bhatt, and Kareena Kapoor Khan. This gorgeous dusky rose sleeveless blouse in brocade with a mint coloured lehenga will be such a great mehendi or reception outfit. With a price tag of Rs 41,500, we think it’s a steal. The costume designer for Deepika Padukone in Ramleela and Bajirao Mastani, Anju Modi is the master of ethnic wear. We particularly like this blush kalidar kurta and palazzo, ideal for a subtle yet sophisticated avatar for the functions. You'll have to dish out just Rs 21,800 for it. An Anushree Reddy anarkali for Rs 59,500? No, we are not kidding! We would highly recommend this for your sangeet but think it’ll look equally well for a reception too. We love the sequin detailing in the top bodice and the flared net layer in the lehenga which would be perfect for all those princess-like twirling shots. With pastels being the trend this wedding season, we think this blush toned designer lehenga would work well for a beach wedding. It even features an off-shoulder blouse with some gentle mirror work on the lehenga that’ll stand out with statement accessories. A price tag of Rs 80,700, then, is justifiable. This is probably the cheapest and most gorgeous designer lehenga that ask a readjustment of your budget. The outfit features a marsala cotton silk lehenga with a black embroidered waistband, deep cutout back and an attached net cape, which would look amazing on a cocktail night. And all this comes for just Rs 38,000!